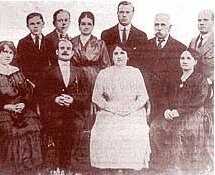 Stepping off a ship in the port of Callao in 1910, a British immigrant couple called the Lindleys were starting a new life in the Americas. Little did they know that they’d become an integral part of Peru’s national identity and create one of the greatest modern Peruvian icons. 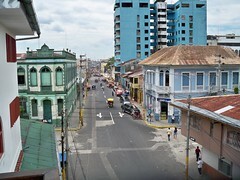 The young couple established themselves in the historic working-class district of Rímac and got off to a great start. Their small up-start bottling business had taken off and their soft drinks were enjoyed by locals. They had since started a family and integrated well into their new homeland, growing increasing patriotic. 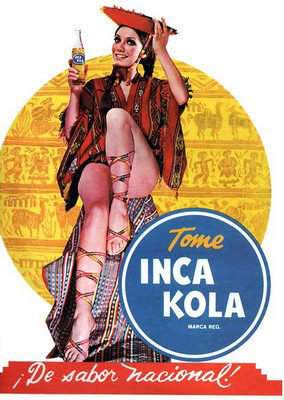 In 1935 when Lima was celebrating its 400th anniversary, the Lindley family decided to release a new drink that was decidedly Peruvian – they named it Inca Kola and based its flavor on a local herb Hierba Luisa, already enjoyed as an infusion. This new sugary and lightly carbonated Hierba Luisa based drink was quickly accepted. 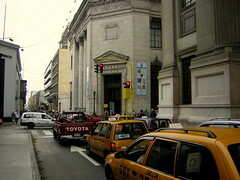 In fact, it quickly became a hit and consumption spread across most of Lima. 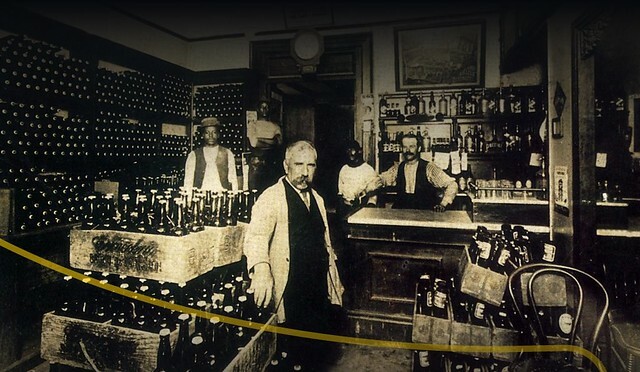 Ageing Don Isaac Lindley, head of the family, would manage his increasingly large bottling facility while son Johnny would drive the delivery truck from Callao to Barranco, delivering new stock to restaurants and local shops, as well as trying to secure deals with new customers. It had only been a couple of years since Johnny got involved in the family business when his father Isaac invested all his savings in the expansion of his bottling shop – which was now turning into a bottling plant. Their business was now entirely focused on this unique yellow drink that was quite unlike anything else – and the business was doing well. Early sales techniques were cunning and ingenious in their simplicity. “We’d go to all the restaurants, we were about 12 people, and we’d always order the best and most expensive dishes. We’d then order Inca Kola to accompany them, and if they didn’t stock it, we’d cancel our order and leave. The next day one of our sales people would show up and offer them the drink, and of course, they’d buy it”, Johnny explains with a grin. “We did it often, it was the only way to increase the demand at the start… the waiters just loved us”. “There is only one Inca Kola and it’s like no other“. “The flavor of Peru“. These phrases, in Spanish, are essentially the reason why only one of the just two territories in the world don’t have Coca Cola as the #1 selling soft drink. A study of Inca Kola’s history is study of how to market a product correctly. 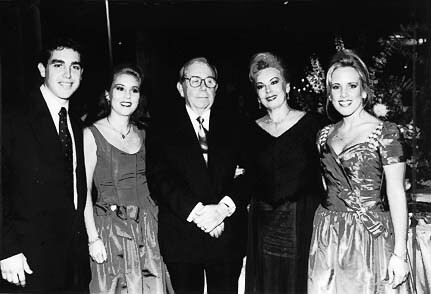 Johnny’s parents eventually parted this world and Johnny took the reins of the family businesses. 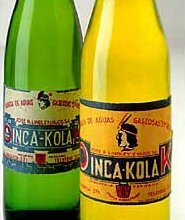 By the 1970s Inca Kola controlled 38% of the country’s soft drinks market. It was the sweetness of the drink that started Inca Kola down the road to success (Peruvians have an incredible sweet-tooth), but it took more than that to compete with larger, wealthier and older drinks such as the already popular Coca Cola. Coca Cola had already been forced to change its secret recipe for Peru, increasing its sweetness to better suit the local palette, one of just three countries world-wide where they had to do this. To compete and eventually leave Peru’s exceptionally sweet Coca Cola trailing in the dust, the Lindley Corporation tapped into Peruvians stubborn nationalism. The Peruvian name and the Peruvian ingredients were accompanied with marketing promoting Inca Kola as “Peru’s Drink”, the “National Flavor”. Coca Cola became the foreign competitor and Peruvians chose to buy Peruvian. What did you learn from your father Isaac Lindley? That we are all equal, they we should all respect and help each other. One should not abuse dominance, never. Respect returns respect, that’s my rule. Was it a mistake to sell a stake in the business to Coca Cola? That’s an incorrect interpretation, a manipulation by competitors that stood to gain. This is a strategic alliance, we’ve associated ourselves with the number one producer of soft drinks in the world, something that was never done before. Coca-Cola, the company with the best selling soft drink in the world, the king of the world, asked to partner with us. Something that has also never been repeated. So the Lindleys have 50% and Coca Cola the other 50%? No, they have about 40%, we have a bit more that 50% and the rest is owned by other members of the family and other companies. Why couldn’t Coca Cola beat Inca Kola? We learned from them how to manage the market, we improved with time and we can’t deny it, Coca Cola was our school. The other thing was the flavor, and I don’t want to boast, but I can say that it was also due to the building of the brand through advertising. 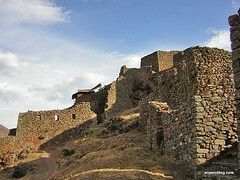 Why do you think you managed to find a place in the hearts of Peruvians? Because we knew how to communicate that we felt part of this country. In the days of terrorism we would day that Inca Kola was the flavor that united us, it gave us strength, when the times of pain passed, it became the flavor of joy, the flavor of the party. When confronted with copies [Isaac Kola] we said that Inca Kola was the national flavor. We always made that distinction, we have always felt proud of Peru. I’ve always liked Peruvian food, we also wanted to find a channel with which to associate our product, we felt we had a flavor that was Peruvian. You’re now 80 years old, Inca Kola is 75 years old, and the Lindley business 100. What have you seen in Peru? I think that all countries are optimistic when it comes to their development, but Peru has demonstrated that it can support a crisis better than anyone, we’re an example of that. Peruvians are very hard-working, we like to advance our lot, I see that. If our company has made it through 100 years it is only because the people are hard working, I’m thankful for that. 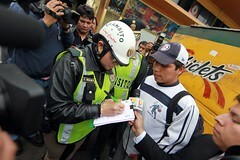 I believe in Peru, we’ve fought to improve things, and we’re still working to do so. Entrenching their now superior market share, the Lindleys associated Inca Kola with Peru’s dozens of national dishes. Today you’ll struggle to find a Peruvian who disagrees that Inca Kola goes well with every Peruvian dish. 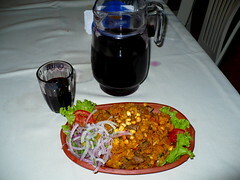 A particular success was the association with Peruvian Chinese food in the country’s Chifas. Chifa without Inca Kola just isn’t chifa to most people. Poor Coca Cola was struggling. Lagging behind in sales and market share while in every other country in the world (bar Scotland) it was in the #1 position, Coca Cola tried everything. Incredible amounts of money were being spent, at one point representatives were standing outside almost every point of sale big or small encouraging consumers to leave that bottle Inca Kola on the shelf just that one time and buy Coca Cola. Desperation turned to capitulation after Bembos, the equally stubborn Peruvian fast-food chain that was a thorn in McDonald’s side, switched to exclusively selling Inca Kola. McDonald’s, not allowed to sell Inca Kola because of the nature of its exclusivity agreement with Coca Cola, was forced to make a special agreement with the drinks company to allow it to sell a competitors drink side by side. With McDonald’s business in Peru at risk merely because people preferred to wash down their fast food with Inca Kola, Coca Cola was forced to accept, the first time in their history anywhere in the world. 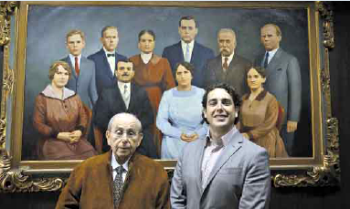 Coca Cola threw in the towel and entered into negotiations with the Lindley family. They couldn’t beat them, so were forced to join them. Coca Cola essentially tried to buy-out the Lindleys, but the family of British immigrants weren’t having it. Why would they? Hundreds of millions of dollars were offered over the course of three years until the Lindleys got a deal they were happy with. Coca Cola’s surrender came in 1999 when Coca Cola paid the Lindley’s the sum of $300m dollars for a minority share of 49% in the business. The Lindleys also received and agreement that Coca Cola would use its distribution networks worldwide to take Inca Kola international. Coca Cola’s CEO, Mr Ivestor, was obliged to visit Lima and acknowledge the embarrassing defeat by drinking Inca Kola at the press conference announcing the deal. With Coca Cola’s bottling rights in Peru, and new markets already being exploited in Ecuador, parts of the US and Canada , and retaining a controlling share of the business, the Lindley’s got nothing short of a great deal. Johnny Lindley has since passed the reins to his son Johnny Lindley Jr.
Johnny Lindley with Johnny Lindley Jr.